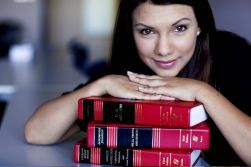 Obtaining certification has become an important way for paralegals to distinguish themselves from their job-seeking competition. More and more employers are looking for people who have met established standards that they can immediately put to work with confidence. In turn, paralegals across the country are turning to certification from either NALA (Certified Paralegal Exam) or the NFPA CORE Competency or Advanced Competency Exams. Especially if they have relevant work experience, many paralegals think they can dive right in to the various certification exams without any real review. They might think that ethics, communications, and judgment are more or less common sense, and that their experience with legal research and substantive law will allow them to ace those sections. But the data tells a very different story. Below is a look at how the NALA CP exam is divided, and what percentage of test-takers passed each section. Here’s a further breakdown of the content of each section. As you can see, many people who took the exam probably should have done more preparation. If you're thinking about getting certified but not planning on taking a formal review course --- we urge you to reconsider. Whether it's here with us with our $189 review course or elsewhere, please adequately prepare! You'll be thankful that you did.